The line between the certainty and the uncertainty, the known and the unknown is demarcated in the work by Nooshin Farhid. Borderline is a site of possible transgression or transition. The film is dark, with only searchlights and flames piercing the night vision. 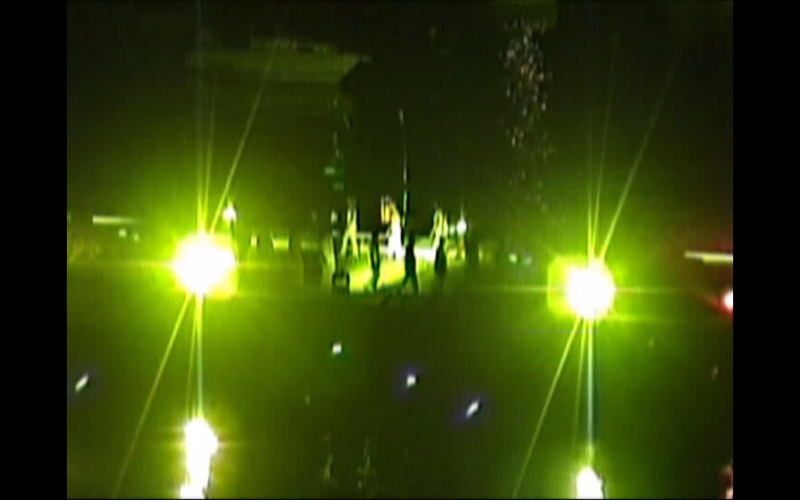 Strange dance-like routines are performed onboard of ship, while another is burning bright in the distance. These luminescent activities impart strange life onto these floating slivers of our worlds, in the animated seas.